Sail from Luss through Loch Lomonds island jewels and visit the beautiful Inchcailloch Isle of the Cowled Woman. Inchcailloch, on the Highland Boundary Fault, is one of the hidden gems in the National Park with something for everyone. 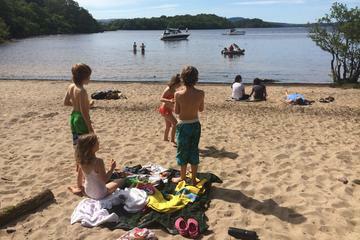 There is time ashore for a picnic on the beach and woodland walks. Multiple departure times allow for half or full day on this Famous Five adventure island.